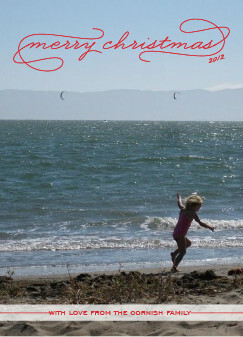 Just Crafty Enough – Christmas Card Ordered? Check. We usually get our first Christmas card on Thanksgiving weekend. I am always impressed by that family. It seems like a nice idea to sit and address the cards over long weekend, but here I am, just organizing the cards! Still, I will have plenty of time to get them out, even over to Europe. This year I tried a new (to me) site. I used Minted. The site is fancier than the other sites I have looked at. And the designs feel a little bit more fresh. 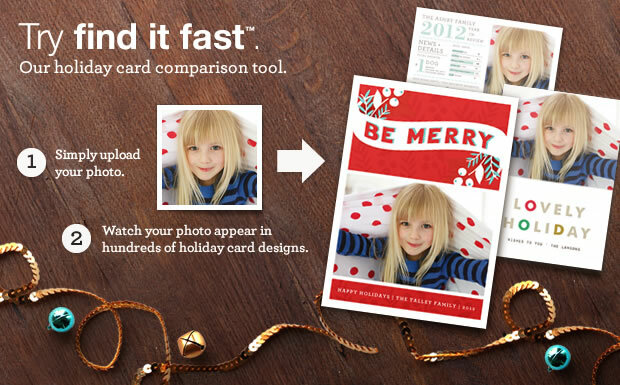 I had a good experience with Minted. They have a GREAT search feature that helps you narrow down the choices. Like: “Christmas” or “General Holiday”. And “card” vs. “flat”. They offer better than average paper weight. One of the neatest options that I found, is that you can get the corners of your card cut in different shapes. I also used the help “live chat” feature to understand if my picture was going to work and I have to say, that feature worked flawlessly. Pretty impressive for a Sunday morning! It was a little bit hard to get exactly what I wanted , because some of the preset constraints didn’t work with the casual photos that I picked. 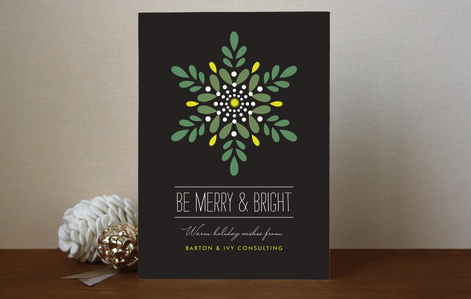 But, in the end, I am super happy with our card! What about you? Are you doing cards this year? Do you have them done? Hope you all had a wonderful weekend with friends and family and great food! Fine print: I was given a set of cards in order to review how Minted work and their designs. I was not compensated in any other way. 6 years ago by Susi in Reviews , Tools | You can follow any responses to this entry through the RSS feed. You can leave a response, or trackback from your own site.